When we first started out, Nick and I both worked out of the home and we just had a few homesteading hobbies. We had a few chickens and a garden. I did a little preserving here and there, and I had a lot of crafts. Nick is an Electrician and does all of our home remodeling and repairs himself. And I was working in an Autistic Support classroom full-time and trying to finish a Bachelor’s in Special Education part-time. Things in the education world took a turn for the worse in our area and I was bumped to part-time. OK, I lost my tuition. And I was making less. But, we were OK.
Then, my hours were cut again… To 8 hours a week!! Sorry, but that doesn’t cut it. After that, I started 2 part-time jobs working with kids. But I never saw my husband. So, I started working at a daycare as a Preschool Teacher. Again, funding for schools is super low and I was supplying the majority of materials for my classroom and commuting about 45 mins each way. I was basically paying to go to work. After awhile, Nick and I discussed it and we decided to have me start a daycare in our home as well as run our homestead. So, now we’re all in! So how do we do it? How do we make an income? Here is a list of ideas on how to make money on the homestead! If you like working with children start an in home daycare like I did! Having a daycare here allows me to still work in the garden, take care of my animals and earn a steady income. You’d actually be surprised at how many people are looking for their children to be exposed to a more simple life. You might think how will I get anything done? The nice thing about your own daycare is that you get to pick what families work for you. Maybe you don’t accept children under 2, maybe you only want school aged children so you are free during the day, or maybe you’re just looking for a few days a week. With a daycare in your home, you get to choose. Note: It’s not all peaches and cream. Think long and hard about how much you enjoy working with children, and how much time you have to put into it! *** Update! I have now been able to retire the daycare and my primary source of income is the next source on the list! Start a Blog: Maybe you write a homesteading blog, or maybe you have another passion that you’d like to write about. My blog has now become my primary income and continues to grow! If a blog is something you’re considering I highly recommend Siteground, and it’s only $3.95 a month! Once I made the switch to them my blog took off, and their customer service is amazing! Ready to start a blog but don’t know where to go from here?? Check out my post, What To Do BEFORE You Start A Blog, on my second blog, Blogging Over Breakfast. That’s right! I love it so much I started a second one! Farm fresh eggs are in high demand right now! We are fortunate (and unfortunate) enough to live on a road with high traffic. If you keep a rooster like us, you will have fertile eggs. And those eggs are worth much more than fresh eggs for eating. 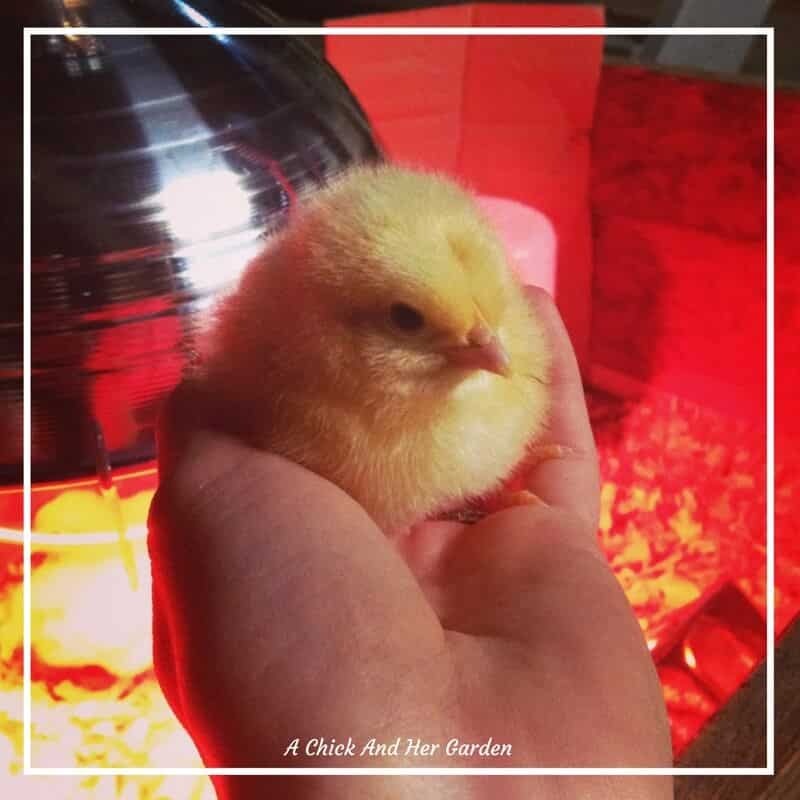 You can advertise in a farm store, classifieds, or Craigslist, or you can check with local schools to see if any teachers are looking to hatch chicks in their classrooms! Maybe you purchase an incubator, or maybe you raise dual purpose chickens and you had 10 hens go broody! Sell your extra chicks for a little extra cash. If you’re thinking about raising dual purpose chickens like us, check out my eBook Dual Purpose: Raise ‘Em Like Your Grandma Did for everything you need to know! Maybe you have the space to keep some beef cattle, or you have a few pigs or sheep. Sell the extra meat! I know word travels fast around here when there is someone selling grass-fed beef and it gets sold out quick. Depending on your local laws, if you own a dairy cow or goats, you may be able to sell your milk and dairy products, if you have the right inspections and licenses. You may also be able to sell it for animal consumption to make money on the homestead. You can check out your state regulations on this website. Maybe you aren’t able to sell your milk for consumption. Or maybe you don’t even have milk to sell. Handmade soaps and lotions are a great way to make money on the homestead, people love them! 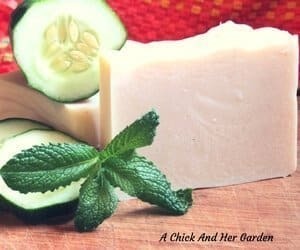 My recipe for Cucumber Mint Soap was the first recipe I wrote and first batch I made! My soaps are available in the shop! Stop over and check them out here! Are you thinking about learning how to make soap? Here’s my list of must have supplies for making cold process soap! Maybe you’re good at making other handcrafted items. Some examples are woodworking, knitting, sewing and an endless list of crafting. You can sell your crafted items at farmers markets, craft shows, local stores, start an Etsy store, or start your own blog and create a store on your site!! Sell your homegrown produce. Whether you’re able to have a produce stand in front of your property, go to farmers markets, or sell to local stores, if you have extra produce that’s a great way to make money on the homestead. People are always looking to buy local and seasonally! If you’re starting your garden from seed, start a few extra! I know I can’t help grabbing a couple of extras every time I stop at the farm store or farmers market. I usually end up starting a container garden as well. Check out how we make one for free in my post How To Build A Free Container Garden! Start saving heirloom seeds and selling them. You can sell them with your produce and seedlings at the farmers market. Or even start your own online store and blog to sell your seeds from! Want to get started saving seeds? 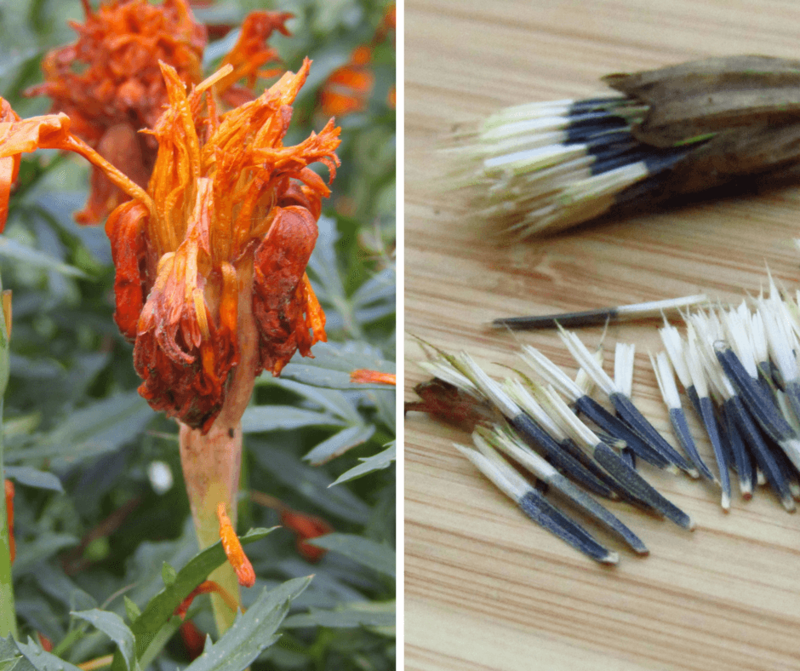 Here’s how to Save Your Own Marigold Seeds! You’ll want to check your state cottage laws first, but who doesn’t love fresh-baked goods?? This is a great way to make money on the homestead. If you’re looking for ideas here’s my recipe for Dangerously Addicting Sourdough Cinnamon Rolls. Again, this is something that you’ll want to check on your state cottage laws, but you could sell your homemade preserves, jams or pickled items. If you’re looking for a good dilly bean recipe, here’s mine for Spicy Dilly Beans. Perennials can take over, but they are my favorite for landscaping. One, I only have to buy them once. Two, they can make me money! Divide your perennials and sell them on your produce stand or at the farmers market to make extra money on the homestead. Tap your Maple Trees and make your own syrup to sell! Don’t have Maple? That’s OK! Did you know you can make syrup from Black Walnut trees too?! Do you have an extra acre or two? Grow Christmas Trees! You could sell them to stores, but people really love being traditional and picking out their own trees. Do you raise sheep, Angora Goats, or Angora Rabbits? Sell their fiber or spun yarn! This is another option where you could sell from Etsy or start your own blog with an online shop! Maybe you spin yarn, or are a tomato pro! Maybe you like to teach craft skills or other homesteading skills. Offer a class or workshop on that skill. Does your homestead have a social media following? If not, start one up! Make a Facebook Page, a Twitter account or an Instagram account and gain followers! You can use these to promote products that you use and love! A great affiliate marketing company to work with is ShareASale! Offer farm sitting services for other homesteaders and farms in your area. Everyone needs a vacation every once in a while! And when they do they need someone who they trust to take care of their farm! 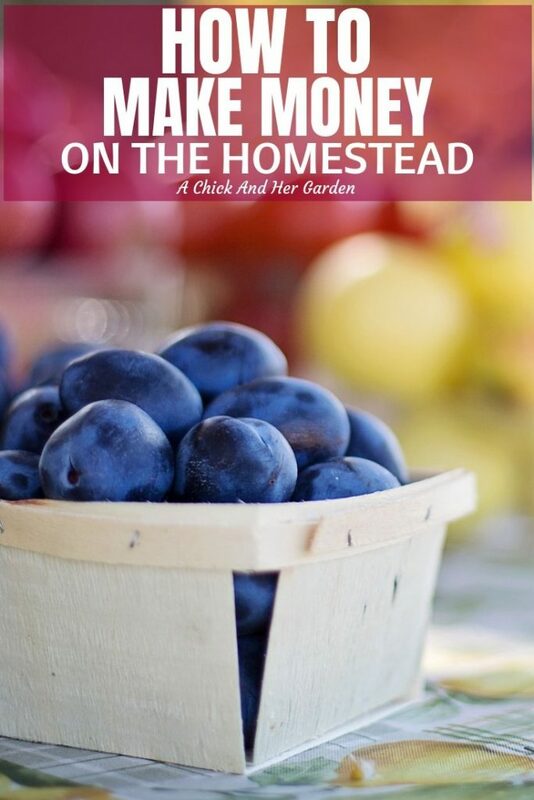 So, there are 22 ways to make money on the homestead! Do you have any other ways? Tell me in the comments! I see so many people say they love siteground for web hosting.. Do you think they do better for your site as far as reach? I use ehost and the service is great but if it would help my site it might be worth it. I really think it has. It boosted my site speed which helps with Google. I just felt stagnant until I made the switch. Hi Staci. I just came upon your blog tonight after watching Lumnah Acres on Youtube about using the salt water bottles for keeping the water thawed. Funny thing is we live in Northwestern PA. We have 12 chickens currently. 1 is a rooster………Mr. Rooster. We also have almost 40 head of beef cattle on the family farm (not where we live right now) and we have 6 pigs, until December when they go to the butcher shop. We are a farm family, but I am learning things everyday. This was my first year with the chickens and we have 3 ducks on our pond that I love. I’ve been trying to get them into a penned in area so I can get them off the pond for winter (more on that later). Anyway, I love homesteading and that is my passion now, as we live in a very unstable world and I believe we should be self-sufficient as we can be. I don’t know exactly where you live, but I will tell you later if we ever can meet or message you in a private message. I enjoyed reading some of your writings, especially this one about making money on the homestead, as I would like to quit work at the local hospital. I hope you get this message soon. Thanks for the water bottle idea.